The 21st Annual Sackler Relays did not start out the way it was meant to be – buses filled with adrenaline-fueled graduate students pulling up at the Medford campus (a location rarely frequented by most attendees), the summer heat bearing down on the participants in a myriad of athletic events for which only a few are ever prepared for, and ending with merriment amid delicious food and copious amounts of beer. Unfortunately, the weather refused to cooperate on the morning of Friday, July 29 and the organizers were forced to move the events indoors. 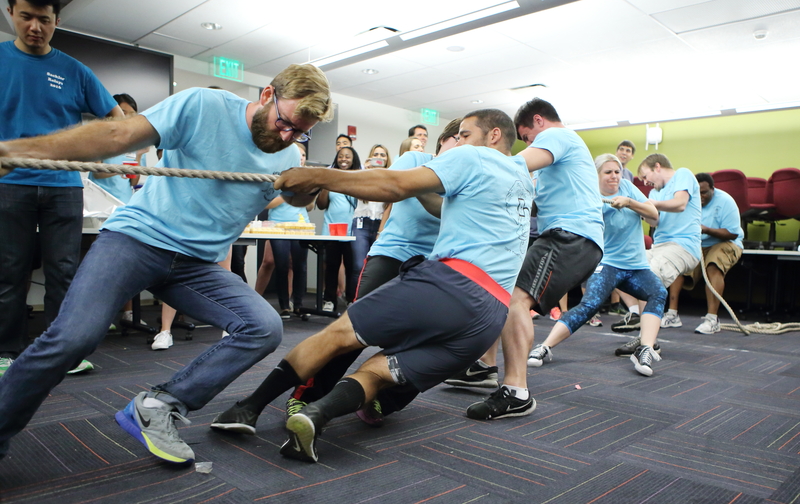 However, if you think that the weather could deter the spirit of Sackler, then you’d be gravely mistaken – weeks of trash talk, camaraderie and secret strategizing for the tug-of-war culminated into a boisterous gathering on that fateful day in the Sackler building basement. As porky the pig was being slow roasted outside, the Sackler community convened in the basement of Sackler building to start the aptly named process of pre-gaming. 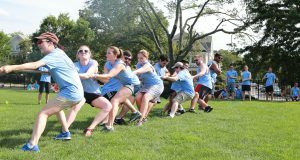 The organizers of the event – the Graduate Student Council and the Dean’s Office were not daunted at the change of plans. 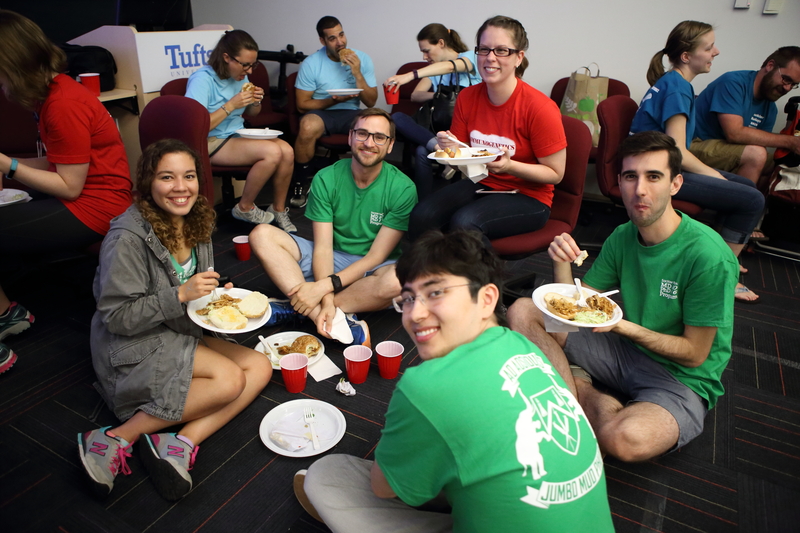 Instead, kegs were in place and food were in plenty – as any veteran event organizer in the Sackler school knows, the path to graduate students’ hearts is through their stomachs. 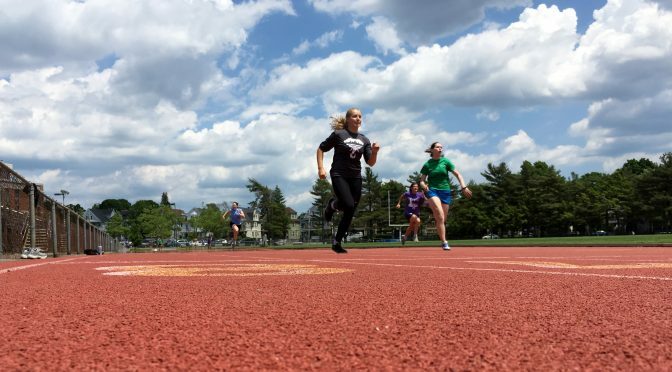 While the number of athletic events were curtailed down only to the obstacle course and the tug-of-war, the most important event of the Relays. In place of the other events, the organizers decided to screen the PhD comic movie in the Sackler auditorium, followed by a re-run of the game night. Hey, if you can’t compete physically, why not rumble on screen with your favorite Super Mario character? 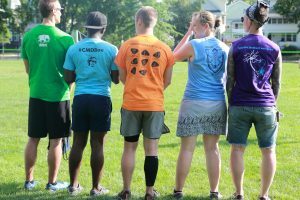 There were some changes in the teams this year – in keeping with the tradition of collaboration and mergers, programs chose to merge to balance out the number of available participants for each team. 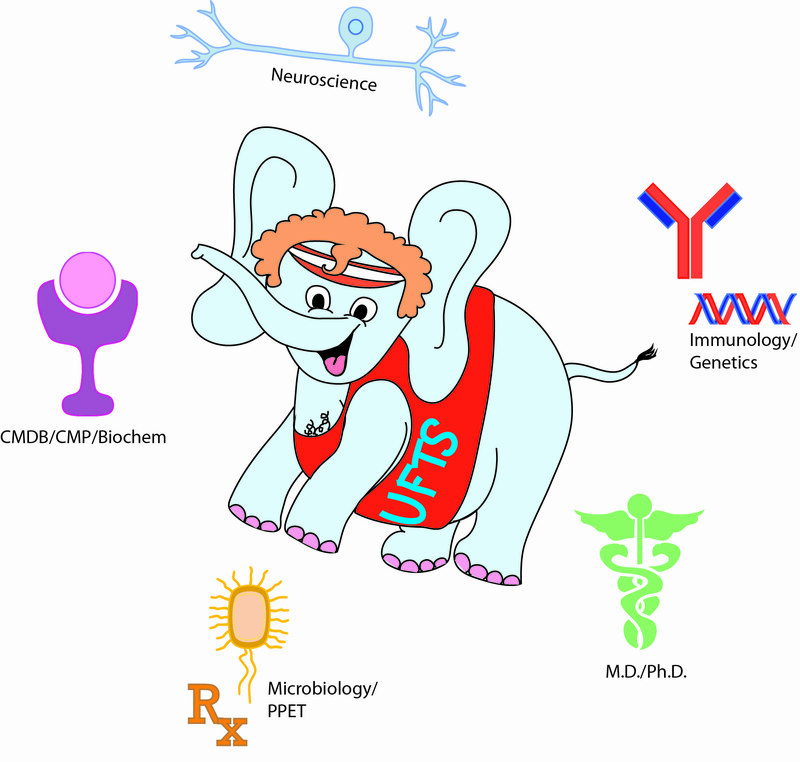 Cell, Molecular & Development Biology (CMDB) merged with Biochemistry and Cellular & Molecular Physiology (CMP), Immunology joined teams with Genetics, Microbiology went with Pharma (PPET) while Neuroscience chose to play solo. 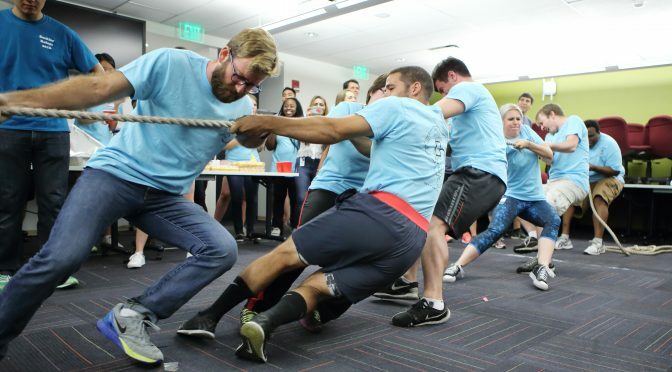 In addition this year also introduced new contenders in the game – MD/PhDs across programs chose to participate by forming their own team, the Sackler MuDPhuDs. 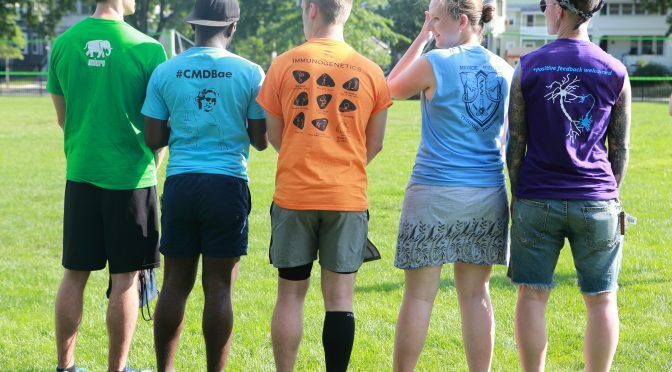 While the competition was intense, as always, Neuro did manage to keep their title as the victor, and the dark horse MD/PhDs came in second (watch out, Neuro!). The Relays were supported by generous donations from BioTechne/R&D, Starbucks, Coolidge Corner Yoga, Trader Joe’s, Cheesecake Factory, RockSpot climbing, Coolidge Corner Theater, Harpoon Brewery, Sam Adams Brewery, Canary Square, Roche Brothers, BoLoCo, The Paint Bar, Back Bay Yoga (YogaWorld), New England Biolabs, Downeast Cider, Tufts Bookstore, Airgas, Sigma Aldrich, Invitrogen and Chipotle. 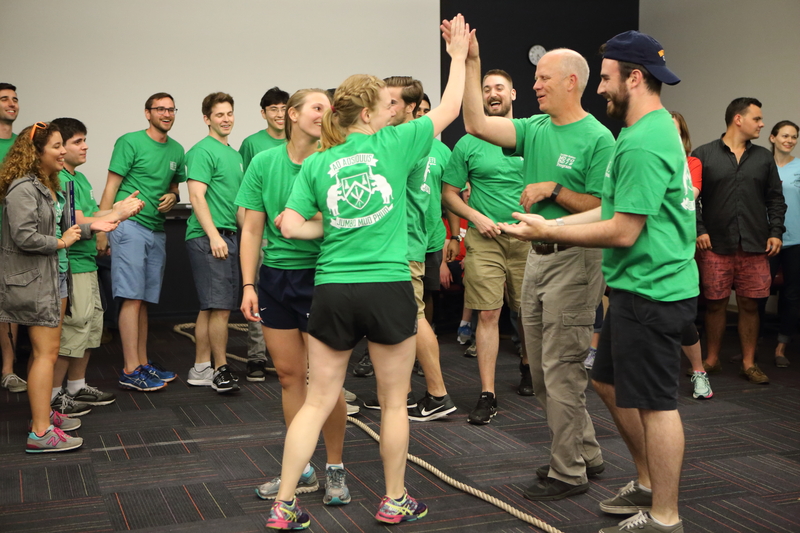 The Relays would not have been possible without the organization of the Graduate Student Council, the help of the Sackler Faculty, particularly Dr. Ira Herman, the Dean’s Office, and of course, the students, post-docs and every member of the Sackler community. A HUGE thank you to Claudette Gardel (Micro) for the amazing photos and to Jess Elman (CMDB) for designing the mascot. More photos from the 2016 Relays can be found here.